If you're looking for AUTHENTIC Muay Thai Kickboxing training in Watauga, come to Lone Star Black Belt Academy! We provide a safe, challenging, and non-competitive environment that will help you get in great shape and increase your mental focus. Lone Star Black Belt Academy provides a combination of Muay Thai and American Kickboxing that each focuses on powerful kicks, punches, knees and elbows. For this Kickboxing program students will need proper training attire such as t-shirts and shorts (similar to fight shorts), 2"x180" hand wraps, 16 oz gloves, and eventually shin guards which can be purchased from our pro-shop. KICK START YOUR MARTIAL ARTS TRAINING WITH MUAY THAI KICKBOXING IN WATAUGA! Level 1 class for everyone from beginners to experienced people looking to build the basic fundamentals of kickboxing. This fun fast temp class focuses on building a solid foundation emphasizing stance, movement, and explosive offense techniques. With heavy emphasis on conditioning the purpose of this class is to get you in the best shape of your life, to condition your body like a fighters, and to build the foundation a skills to take you to the level of a World Champion. Level 2 emphasizes more technical training than Level 1. Focuses on more advanced combinations, offensive, an defensive tactics. Level 2 introduces Thai pad training as well as partner paring drills. Class will also consist of heavy bag work and fight conditioning drills. Level 3 class is for advanced students and consists of contact sparring, timing drills, fight tactics and fight conditioning. Must have instructor approval. GET READY TO SWEAT, LEARN SELF-DEFENSE, AND HAVE FUN! 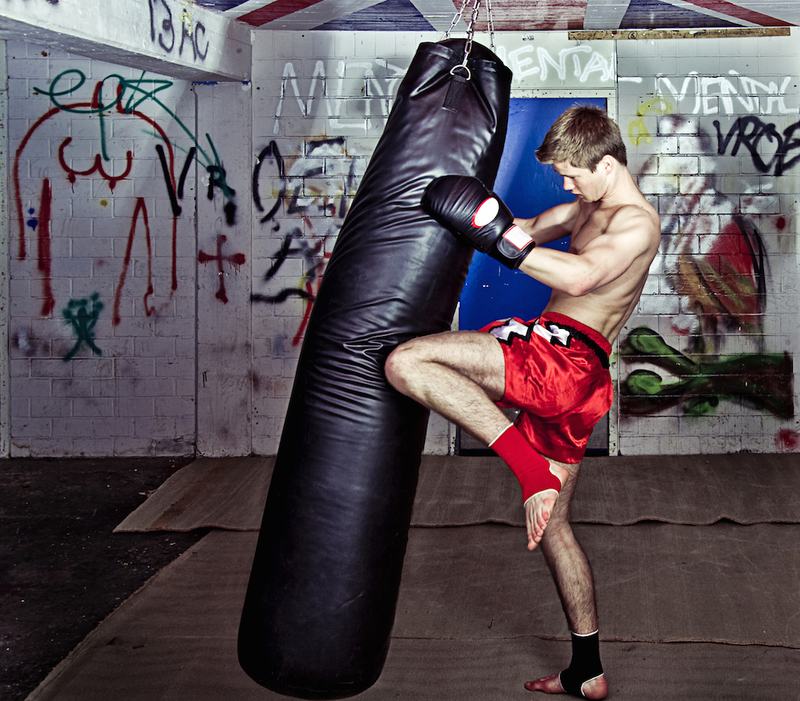 Muay Thai Kickboxing is a great way to learn to move your body with balance and power. This program combines the best parts of kickboxing fitness with practical self defense. You won't find a fitness routine like this anywhere else! To find out more information about this great opportunity, simply fill out the short form on the side of this page!